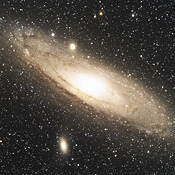 Galaxy in constellation Andromeda is real jewel. 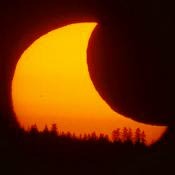 It is beautiful objekt in the picture and in eyepiece. 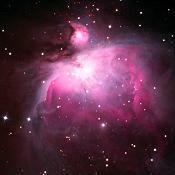 There is my first photo of this famous nebula. I use camera lens with 300mm focal length. 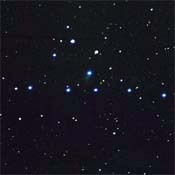 I decided to find comet 2P/Encke in this afternoon. 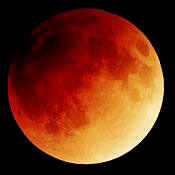 I observed and took pictures of total Moon eclipse. There are results of my work. Four biggest moons of Jupiter is easy to observe. There is a first photo of this family. The change of Moon phase is perfectly visible - compare to previous photo. 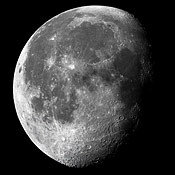 Next photo of Moon in high resolution. 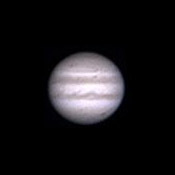 I worked quickly with telescope after my experiences with my first experiment. It caused the same light conditions during all time of taking picture. I have tried to use webcam for scanning of Moon surface. The result is quiet interesting. 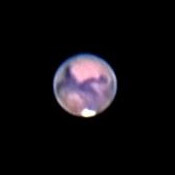 Next visit to observatory for taking pictures of red planet. Seeing was little and so result is good. Next try. I used longer telescope in observatory. There is a result. My first try. Without mount, so result is pure. 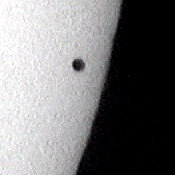 A transit of Mercury across the Sun is rare. 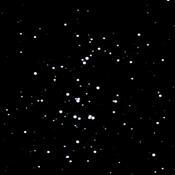 I was prepared for this astronomical event. This is result of my work.